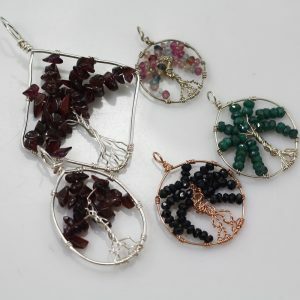 Detail: ~New Class~ Learn basic of stringing and twisting to create earrings. Teacher: Nina Zhao All tools and materials are supplied for this class. 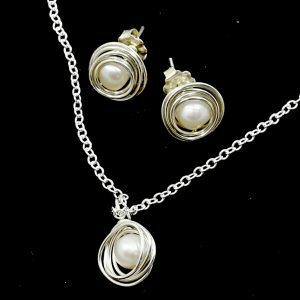 You will also learn how to use jump rings, head pins and tool use. Cost $18.00 per person. 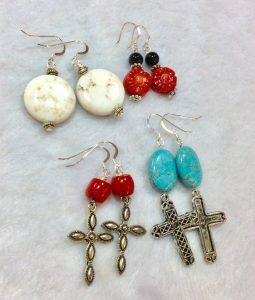 ** Beading Buddy Special is NOT available for this class** Click Here To Register!!! 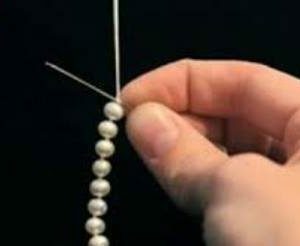 Detail: **Basic Bead Knotting**- Finish a Simple 18-20" knotted necklace, or a bracelet. Teacher: Beverly Powers BRING: A strand of pearls or medium sized beads and a clasp. Closed and oval open jump rings, nylon beading thread and twisted wire needle will be furnished. Cost $25.00 per person. 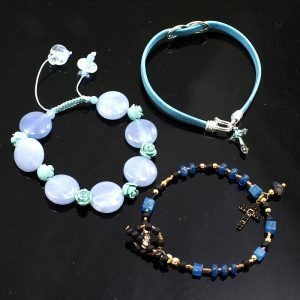 ** Beading Buddy Special: Second person half price when you sign up together. Click Here To Register!!! 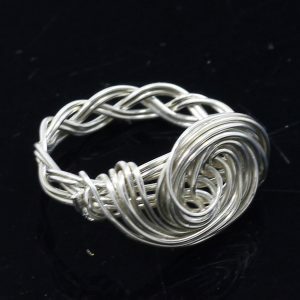 Detail: ~Special Class~ Braided Band Spiral Ring - Learn to braid an manipulate sterling silver wire to create a unique ring. Teacher: Lori Brown ALL TOOLS AND MATERIALS ARE SUPPLIED FOR THIS CLASS. Materials : 21ga round dead soft sterling silver wire. Tools : Ring mandrel, Leather mallet. Round nose pliers, Needle nose pliers, Close cut wire cutters and silver polishing cloth. Cost $45.00 per person. ** Beading Buddy Special is NOT available for this special class** Click Here To Register !!! 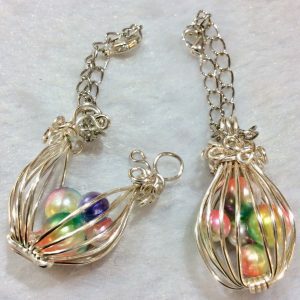 ~ New Class ~ Detail: **Hinged Cage Pendant**- Learn to make a hinged and be able to open the cage to change beads for different look. Teacher: Beverly Powers ALL TOOLS AND MATERIALS ARE SUPPLIED FOR THIS CLASS. If you prefer to use your own tools please bring nylon, round and flat nose pliers. Cost $45.00 per person. ** No Beading Buddy Special** Click Here To Register!!! 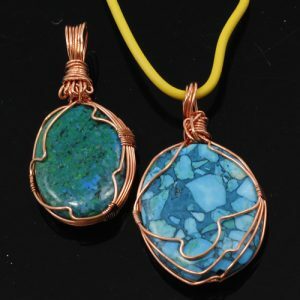 Detail: Basic Jewelry - Learn basics of stringing. 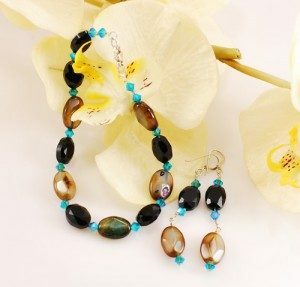 Make a Bracelet & Earrings Teacher: Marcia Cluckey Supplies: All materials are supplied for this class. Tools: Tools will be provided for use in the class. Cost $25.00 per person. 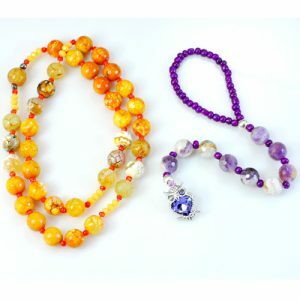 ** Beading Buddy Special: Second person half price when you sign up together. Click here to register!